Now that you’ve found all your sources for your paper, need some writing assistance? 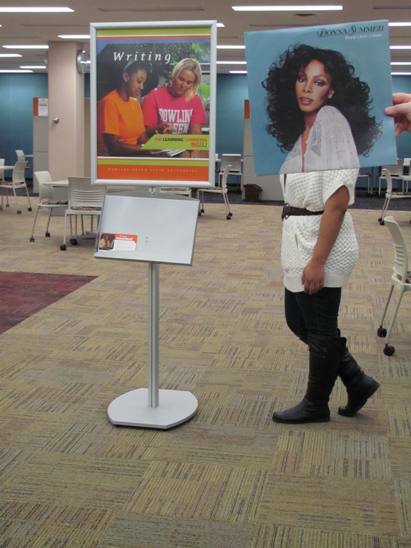 Well, Donna Summer is happy to show you around the Learning Commons area of the library, home of the Writing Center. In this photo: Donna Summer, Jazlyn Chan and Susannah Cleveland. Photo by Liz Tousey. This entry was posted in Pop and tagged Donna_Summer. Bookmark the permalink.